The original Xbox Media Player was released back in 2002, and after a few years, this went on to become Kodi. 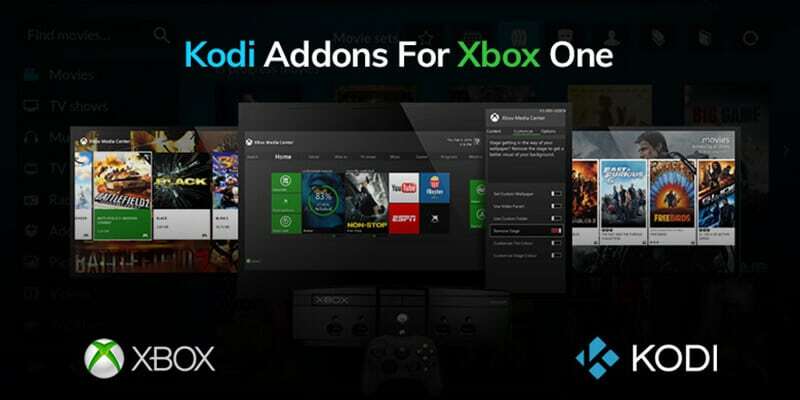 With the name change came adaption for many other devices, and with the introduction of the Xbox One, it wasn’t long before Kodi for Xbox One was made available. The Microsoft’s Xbox One at heart is still a gaming console, but it has since expanded and moved to be a home entertainment hub. With this Xbox media console in mind, we will take a look at how to download and install Kodi on the Xbox One. One thing to note is Kodi 17.6 Krypton won’t run on the Xbox because it is a 32-bit application, and we need to install the latest Kodi 18 Leia version which is a 64-bit application. There are some bugs to iron out, and some of the Kodi Xbox One builds won’t run at present, so we have listed some Kodi add-ons for Xbox which are working once you install this version. Microsoft has made things much more straightforward for Windows 10 users. 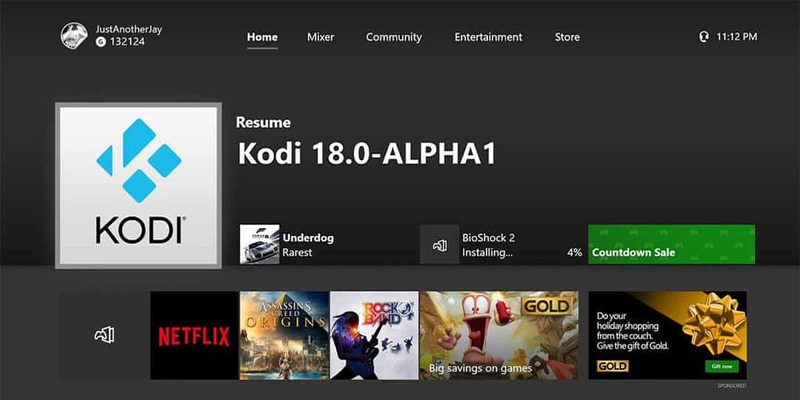 Xbox One users have access to the Windows store, and it is easy how to Install Kodi on Xbox One. Installing Kodi is simple, and it only takes a couple of clicks. The only difference being it downloads Kodi in the current alpha version rather than the version that runs on a PC. 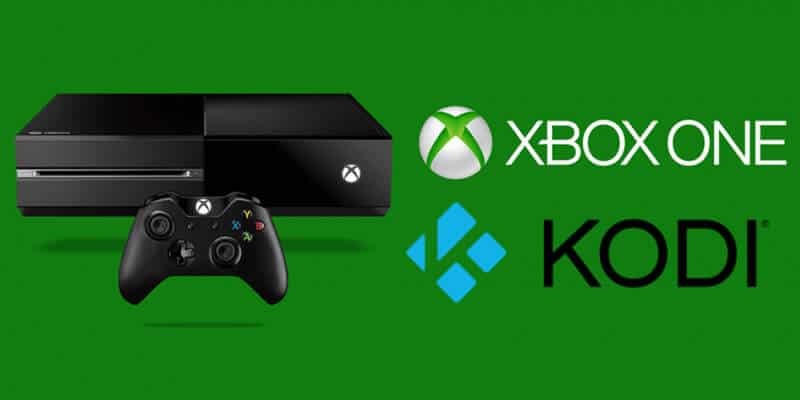 So here are the eight steps how to get Kodi on Xbox one. Because you are using the latest development version of Kodi on your Xbox, there will be updates and bug fixes released. At some point, the final release will be available. On occasions, you might need to uninstall the Kodi app. This can be the version you have is causing problems or crashing, and you need to setup Kodi again. This is straightforward and is carried out exactly as if you were uninstalling games. Go to Manage App and select Uninstall. Now confirm the Kodi uninstall. After installing Kodi on Xbox, you’ll see doesn’t do anything, and this is why Kodi needs to make use of add-ons. The problem is many of these third-party streams consist of copyright-protected content. Here, we highly advise using a VPN before considering using these best Kodi add-ons. A VPN protects your identity and stops your ISP, any government agencies or hackers from logging your activity or hacking into your home network. Because most VPN’s don’t work on the Xbox One, the best way of protecting your identity is through a VPN you can install on your home router. Not all can do this, but the best VPN for Kodi can do as well as stream geo-blocked content by bypassing the restrictions. 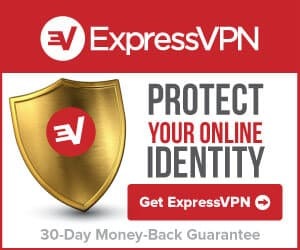 The highly recommended VPN is super simple to sign up for, and all you need is your email address, and a payment option, all in all, you can sign up in around 30 minutes. Here are a few of the best add-ons you can install on Kodi Xbox One. Exodus – a veteran Kodi add-on, but has lost the developer. It does still provide plenty of movies and TV shows but is not really updated any longer. Genesis Reborn – with this Kodi add-on, you can watch all the latest episodes of your favourite TV shows like GOT and Westworld among many others. This is the second incarnation of Genesis and comes packed with a vast amount of content. Covenant – this is the successor to Exodus, and there is more than enough content delivered by this add-on. You can access AMC, Netflix, and Hulu among plenty of others. The add-on comes with an easy to use interface. Joker Sports – Joker Sports gives access to live TV sports which include footballs, ice hockey cricket and you can even watch UFC when big fights are on. Channels accessed are ESPN, Sky Sports, and also Euro sport among others. A lot of Kodi users are turning away from adding add-ons for Xbox one at a time. This can be long-winded, and the way to get around doing this time-consuming activity is to use the best Kodi build for Xbox One. At present, the best build around is Duff X Kodi for Xbox. This is hugely popular because it works on the latest version of Kodi (v18 Leia). All of the add-ons in this Kodi build are working and include Genesis Reborn, Supremacy, YouTube, Maverick TV, Incursion, Covenant, Placenta and many more. This Kodi build has all you need to turn your Xbox into the media hub it was intended to be. With a VPN, you can watch all the free content safely and securely. One funky thing you can do if you don’t have an internet connection at home is to stream Kodi to Xbox One from your Android device. This uses the Terrarium TV apk to grab all the shows and movies. All you need to do is set up your Android Kodi app to play videos to LocalCast. Files you will need are LocalCast and PlayerCoreFactory.xml File. Download the XML file to your Android device through a browser into the Download folder. Open ES File Explorer, and head to settings, and select the box to show hidden files. Go to /Android/data/org.xbmc.kodi/files/.kodi/userdata/ and paste the xml file into that folder. If this is a little difficult, you are in luck because there is Terrarium TV for Xbox One, but it is not free, and at the moment, there is no way to get around this charge.